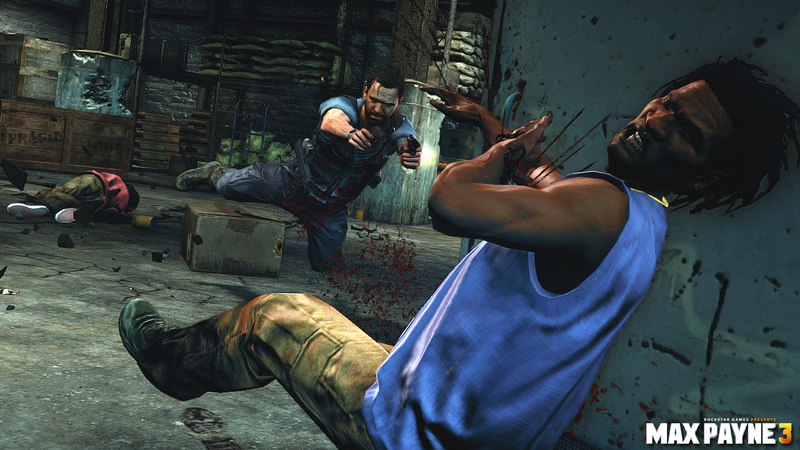 Max Payne 3’s multiplayer makes me uncomfortable. During the harsh, violent, and even unnerving campaign, Payne becomes entrenched in a Brazilian war. He travels through the favela, gunning down residents already on a thin life line. With context, the content is only loosely off-putting. In multiplayer, the tune changes. Players create their own slum lord, a person with a sickly appearance, tattered clothes, and no hope of escape. These people live in squallier because they must, their choices few and their outs less. It’s an idea I brandished in my review elsewhere, but one worthy of a wider discussion. Rockstar loves pushing people with their content. I have a feeling most of their designs begin by developing a means of attracting outside media on the old saying, “Any publicity is good publicity.” Maybe the multiplayer isn’t just a tacked on, DLC machine after all. To be clear, I find few problems with the multiplayer on design terms. The shooting action translates and the technical challenge of latching bullet time in a versus environment is appreciated, comparisons to Stranglehold not withstanding. It’s what people are asked to shoot, the locations they’re asked to shoot in, and the insinuations those create. My character is taking cover inside a decrepit bus, a sign of total economic failure. I’m traveling through homes that are not so much homes as they are roofs with walls. As bad as the situation is -the type of cause Sarah McLachlan will ask you to donate towards soon enough on late night TV- I’m being asked to enjoy myself. They’re virtual characters, but representative of real people caught in an unstable world. These are untrained, street wise types, not military forces battling for control against terrorists or occupiers. They’re fighting just to kill, while I’m involved for meager XP and virtual clothes. Max Payne 3’s mechanics are inherently unsteady already, further making these virtual representations of impossibly poor people more uncontrolled and unhinged. I can already picture the wide array of potential comments to something like this, few of them positives. Rants to get over it, who cares, and it’s just a video game are ensured, but it all makes me wonder why so few people ever consider taking the material for more than it is. Movies and books push buttons, elicit reactions, and entice controversy. Games? Not so much. When they do, it’s Hot Coffee-esque, meaningless political and local news fodder. Why are we expected to find enjoyment in such misery? For context, Grand Theft Auto IV sold 25 million copies lifetime. Rockstar's problematic launch of GTA V's online component is producing a Rockstar-like apology: $500,000 worth. With over $800 million in sales to work from, Rockstar is not letting their baby die off.